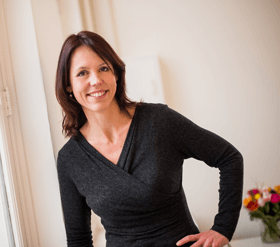 Optimise your Dutch communication skills with colleagues and clients? Learn corporate Dutch in a manner that appeals to you. Interactive, creative, efficient, and effective. This can be achieved with DNA Languages. Individually or in a group, small-scale (maximum eight people), and entirely tailored to your personal needs. Completely customised, using appropriate corporate communication course material for professionals. Only the best, most experienced, and enthusiastic lecturers are good enough to work with you. We ensure that quality and flexibility always come first. You will be completely immersed in your language of choice, and we will not stop until you have reached your goal. In short, in the corporate communication courses for professionals, you will learn to communicate effectively within your work environment, and improve your communication skills with colleagues and clients. How do we go about this? We conduct a personal intake prior to starting the Dutch language course. During the intake, we determine your objectives and focus points. We do in accordance with you. Based on the intake, we subsequently tailor your Dutch language course to your level and needs. During the course, you will start working with all sorts of practical assignments, business games, and on-the-job training, for example, during the module “writing corporate Dutch”. During the period that you are following your Dutch course, we always listen actively to your feedback. Does our language course meet your expectations? Is there something we change adjust? Working together, whereby we offer a good deal of personal contact and attention regarding your specific needs, allows us to achieve a significant improvement in your communication skills. Who can profit from our Dutch language course? Do you want to learn corporate Dutch and are you a highly educated and ambitious professional? Then you have come to the right place. Success guaranteed. We will not stop until you have reached your goal. A great course, one of the best I’ve taken, great teachers, the only but I have is that the days went so fast. I wish I could follow the course once more. Thanks for a highly recommended course. 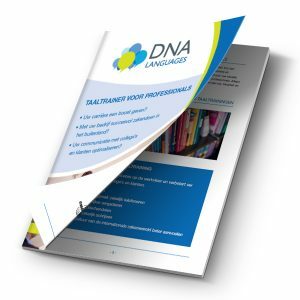 DNA’s approach was tailored specifically to my needs, and was modified during the course to reflect my interests and learning requirements. My teachers made learning Dutch enjoyable, which is greatly to their credit. Their enthusiasm, humour, rigour, and professionalism made the course a pleasure to complete. I was impressed from the beginning by such an organized approach. For me, the way the course was designed was excellent, the course was precisely tailored for my needs. I worked with very good teachers, the best I have ever had.